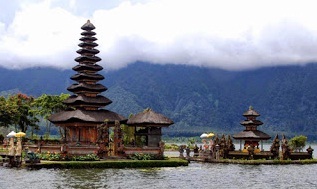 Ulun Danu Beratan Temple - Bali has four lakes, namely Buyan Lake, Tamblingan Lake, Lake Batur and Lake Beratan. When you travel from Denpasar to Singaraja, you will see a lake that is often used as a stopover. The lake is named Lake Beratan. Lake Beratan is located in Bedugul, a cool and beautiful location. Many trees and hills on the edge of the lake. The water is so calm and very suitable for fishing locations. Many people stop by this lake when traveling from or to Denpasar. The food they often buy is also warm food because it is delicious to eat food that is still warm while in the cool hilly area. There are three doors to go to this lake, but only one door can be used to go to one of the holy places or temples on the edge of the lake. The temple meant is Ulun Danu Beratan Temple. Ulun Danu means upstream part of Lake Beratan. This temple is often referred to as the Bedugul Temple because it serves as a place to worship the Fertility Goddess because the function of Lake Beratan is as a source of irrigating rice fields (as irrigation). Access to Ulun Danu Beratan Temple is already very good because it has been arranged by the government because besides being a holy place, this temple is also one of the most popular tourist attractions in Bali. There are three parts to this attraction. The first part is arranged to be used as a large parking lot to accommodate visitors from both domestic and foreign tourists. In this parking area, there are also stalls that sell snacks and typical Balinese souvenirs. Going deeper, your eyes will be spoiled by a vast and shady garden. Enter deeper then you will find a temple in the middle of the lake. in this tourist area, you will find four temple complexes, namely Pura Lingga Petak (having three tumpang meru), Pura penataran Puncak Mangu (having eleven tumpang meru), and the Dalem Purwa temple, and the last is the Teratai Bang Temple. Many tourists come here to enjoy the cool air of the lake while sitting and taking pictures with relatives to capture their holiday moments. You can also rent a motorboat to get around the calm of the Beratan Lake. For those of you who forget to bring a camera and want to take home your vacation photos at Ulun Danu Temple, this photo has been available. The results are also good. Guaranteed your vacation will be very impressive if you visit this Ulun Danu Beratan Temple. The time needed to reach Pura Ulun Danau Beratan Bedugul is about 1.5 hours drive from Denpasar or about 60 kilometers. The road is also very good, but sometimes you will be faced with traffic jams during holidays. The location of Pura Ulun Danu Beratan is right along the road from Denpasar City Towards Singaraja City. Parking fees for motorbikes are Rp. 2,000 and for cars is Rp. 5,000, while the entry ticket is Rp. 20,000 per person. Sekumpul Waterfall-North Bali is famous for its waterfalls. The area of North Bali is the most extensive among all districts in Bali. Many are indeed waterfalls, but North Bali has one waterfall which is said to be the most beautiful waterfall in Bali. Besides being beautiful, this waterfall is also unique. Want to know what it's unique like? please visit during the rainy season but must be careful too. Yaps .. this one waterfall is located in Sekumpul Village, Sawan District, Buleleng. The name "Sekumpul" may come from the word "Se" which means one and "gather" which means together. So "Sekumpul" means together into one place. The seven waterfalls in the hills are collected in one place, namely in Sekumpul Village. At Sekumpul Waterfall there are 7 waterfalls, but we can reach only 2 waterfalls because it is located near the main road and 5 other waterfalls are located in locations that require extra power to reach it. This was mentioned about its uniqueness, this waterfall has two water sources, but it will clearly be seen in the rainy season, because when it rains and there is a flood, one of the water sources will be cloudy because it comes from another river and the other will be clear because sourced from springs. To reach this waterfall, you have to go down the steps about 300 meters from the main road. Do not imagine tired first, because on the way you will be treated to a beautiful view and can occasionally hear the birds singing there. It is recommended to be careful when visiting during the rainy season because you cannot predict the arrival of floods and a large amount of water debt and slippery road conditions can interfere with travel and safety. Tourists usually use this location for refreshing from all the activities and routine activities, but of course, the activities of the photos will be one of the destinations in this location. 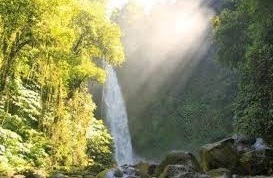 Aling-aling Waterfall - Tourism potential that has not been extensively explored is the potential in Buleleng Regency. Perhaps due to the road to get there from Ngurah Rai Airport is quite far, sometimes tourists become reluctant to visit it. North Bali also has a beach that is no less beautiful than the beaches in South Bali. Besides that, North Bali also has a lot of hill topography so the air and the atmosphere are also cool, very suitable for refreshing. 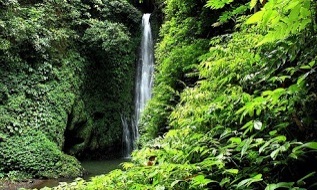 North Bali is a waterfall paradise, besides Gitgit Waterfall, there are many more waterfalls in North Bali. One of the waterfalls located in Sambangan Village is the Aling-aling Waterfall. Many domestic tourists and foreign tourists have visited this waterfall. The attraction is the spot of the photo, the fresh air around the waterfall because as we all know, trees are a source of oxygen for the earth and the height of the place is also a contributing factor to the humidity here. The development of social media is indeed very rapid, one of which is Instagram, an application for sharing photos made by Facebook. Now for those of you whose hobbies are photos, this Aling-Aling Waterfall is very instagramable. Visit immediately and capture your moments in photos and upload them to Instagram. Incidentally, the photo spots here are very supportive, so express yourself in taking photos at this tourist spot. Besides that, you can also take a bath here, feel the fresh water falling from above, but hope to take a shower on the edge of the waterfall because the current is quite strong. Colek Pamor Waterfall-Buleleng Regency still has a unique waterfall but is rarely known by tourists visiting Bali. When you will visit Singaraja from Denpasar and pass Jalan Raya Bedugul, then you will find a tourist attraction called Gitgit Waterfall or Gitgit Waterfall. When you visit Gitgit Waterfall, take the time to visit the nearest waterfall, which is Colek Pamor Waterfall. Indeed, this waterfall is not as popular as other waterfalls in Bali but is still one lane with Gitgit Waterfall. For access to the waterfall, it has been arranged properly, the road has been concreted even though there are still roads that are still in the form of land. Tourists who visit are usually dominated by local tourists but there are also sometimes foreign tourists who visit there. Holidays like Sundays and Religious Holidays are usually used by tourists to visit and enjoy the beauty of this waterfall. Be careful when you visit during the rainy season because we cannot predict water and floods. Slippery roads also do not become important notes during the rainy season so that your vacation remains in a pleasant atmosphere. The natural atmosphere that is still beautiful is the attraction of this waterfall, but the unique thing about this waterfall is the source of the water coming out of the cave with a height of approximately 20 meters. The government of Buleleng Regency is reviewing the development of the potential of this tourism object, but it also needs a considerable amount of time and not too small costs to realize it. For those of you who have never visited this waterfall, you can see the map below as a guide to Colek Pamor Waterfall. Nung-nung Waterfall-For those who like waterfall tours, there's no harm in exploring one of the waterfalls in Badung Regency. 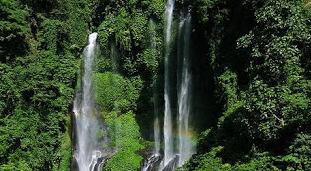 Its beauty is not inferior to waterfalls in other areas such as Buleleng. The waterfall is located in Nungnung, Petang District, Badung Regency, named Nungnung Waterfall. The existence of this waterfall has not been so popular, even the Badung people themselves sometimes do not know yet because the famous tourist attraction in Badung is Kuta Beach, Taman Ayun, Garuda Wisnu Kencana. The height of this waterfall is around 50 meters with a large water discharge. To go to this location, you have to go through around 500 steps, yeah ... that's just for sports, and you can also enjoy the cool air. The atmosphere in this waterfall is rather quiet because there are not many tourists who know the beauty of this waterfall. Just for information that near this waterfall there is a bridge connecting Badung Regency and Bangli Regency, the name of the bridge is the Plaga bridge, which is the tallest and longest bridge in Bali. Let's like traveling, capture your moment here while enjoying the beauty of the waterfall and the cool atmosphere around and for tourists who want to eliminate fatigue due to energy-intensive work routines and work, this place can be used as an alternative. Taman Ayun Temple - Taman Ayun Temple is located in Mengwi Village, Badung Regency, which is about 19 kilometers from Denpasar City. The temple which has a large and beautiful garden was built in 1556 caka (1634 AD) by King Mengwi. With the consistency of the community to preserve this temple, UNESCO makes this temple as one of the World heritage that should be preserved. 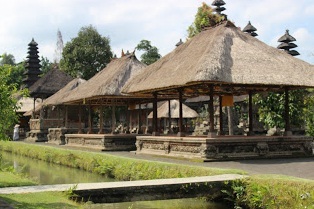 In addition to Taman Ayun Temple, UNESCO also made Jatiluwih Village as one of the World heritage as well. Pura which is considered as Mother (Paibon) by the Kingdom of Mengwi is a must for you to visit and enter on your holiday list in Bali. The temple is a place to worship God for Hindus in Bali but the temple can also be used as a tourist attraction. For those of you who do have tourist destinations in the direction of Buleleng Regency which is famous for Lovina Beach attractions and Gitgit Waterfall, take the time to stop by at Taman Ayun Temple. Before entering the temple area, you will walk through a large and beautiful park, then you will find the magnificent Bentar Temple. Public tourists are not allowed to enter the area inside the temple, you can only see it on the outer yard, including the park. Please respect also the procedures that apply when entering this temple area because we are a cultured nation, let alone entering a sacred area like a temple. It has become a familiar thing to capture moments when visiting tourist attractions, people will take pictures and look for places that are considered to have good spots for taking pictures. 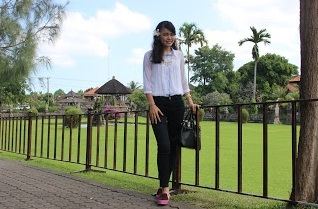 At Taman Ayun Temple, this is probably the best spot to take photos in the garden and also on the front of the castle that can display Balinese architecture. This vast garden can become a fatigue reliever for visiting tourists. For people who want to pray, they will also be made comfortable with the architecture and layout of this temple. The point will not be boring when visiting the Taman Ayun Temple. Piodalan at this temple was held on Tuesday Wuku Medangsia because that day the temple was officially opened. Menjangan Island - Bali does save a lot of charm, ranging from natural beauty, cultural diversity, food, and religious tourism. For those of you who like diving, Bali has the answer. Bali holds an amazing underwater paradise on Menjangan Island. Menjangan Island is located north of the West Bali National Park, precisely in Kelampok Village, Gerokgak District, Buleleng Regency, Bali. or about 80 km from Singaraja City and 60 Kilometers from Lovina and about 4 hours from Denpasar City. To reach this island you have to cross by boat motor for approximately 30-40 minutes from the lalang port. At Lalang Port, a complete diving package is available that you can choose according to your holiday budget. This package includes boat rental, insurance, guides, and snorkeling equipment. 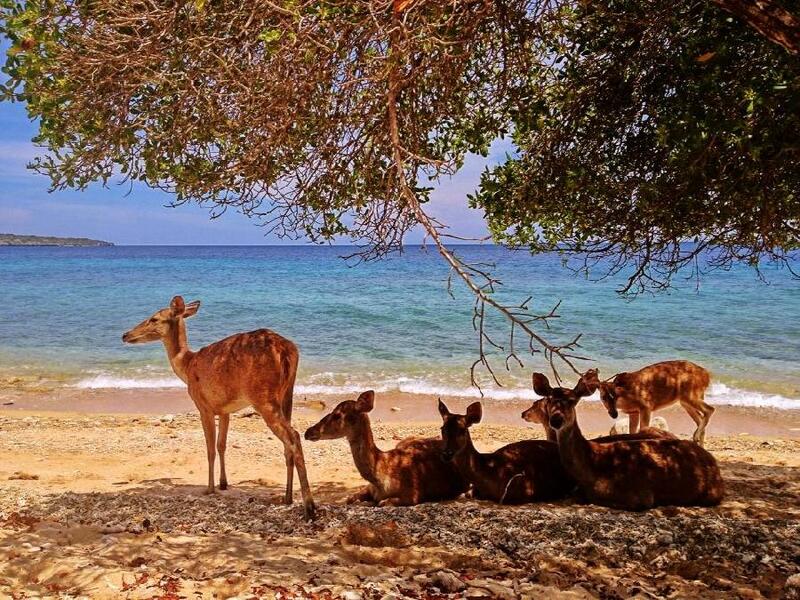 The island is called Menjangan Island because on this island there are indeed many deer species whose population is decreasing so that the government has made Menjangan Island a West Bali National Park in an effort to save it from extinction. Menjangan Island is synonymous with diving and snorkeling activities, this island has many diving and beautiful coral reefs. You can find coral reefs starting from a depth of 10 meters. The formation of coral reefs indeed surrounds Menjangan Island, even the formation of coral rocks at a depth of 60 meters forms small and large caves with a function as habitat for marine animals such as soft corals, small snappers, large groupers, and batfish. 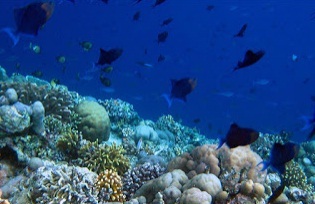 The seabed also includes tuna, batfish, jackfish, angelfish, sea turtles and even sharks. Eel Gardens is a diving spot located west of Menjangan Island. In this spot there are lots of collection of sea fans and eel gardens according to the spot name. For you lovers of macro diving, Secret Bay is the right location for you because you will find a variety of coral reefs, rare marine biota, muddy sand on the seabed at this location. This location is also a location that is still very natural or not much touched. Various species such as frogfish, nudibranchs, seahorse, shrimpfish, dragonets, lionfish, pipefish, sea shrimp, ribbon eels and the others are only 10 meters deep. But you must dive at the right time if you want to enjoy the beauty of these species. The right time is when the wave is high and the moon is in the right position too. Use the good and thick wetsuit because the temperature of the water here can be cooler than other Balinese waters. For those of you who have become professional divers, you can try a diving location called Anchor Wreck. The deeper the dive site, the greater the risk, because at a depth of about 45 meters, you can see the uniqueness of a shipwreck that has been rusted completely with its anchors. According to opinions circulating in the community, this ship sank in the 19th century at the time of World War II and this ship was owned by the Dutch. Inside the ship were found ceramics stored in a chest, it was suspected that this ship was the ship used to transport Dutch slaves from Bali to Jakarta. Bali is identical to its landscape, in every corner of Bali there must be a temple, so it's no wonder Bali gets the nickname of the Thousand Pura Island. In Menjangan Island, there is also a temple called Pura Agung Pingit Kelenting Sari. This temple is located at the end of Menjangan Island overlooking Java. The Ganesha statue located on the front of the temple has a height of about 15 meters. In this temple, there is also the Pagoda Dewi Kwan Im. 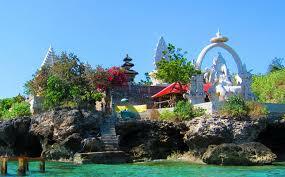 This temple is a place of worship of God to protect the nature of Bali and especially the Menjangan Island itself. There are no residents who live or settle on the island so that this temple is only used as a place for Tirta Yatra. For you or the Hindhu people who want to carry out the prayers at the Pura Agung Pingit Temple, you must pass through seven places of worship. Starting from Taman Pingit Klenting Sari Temple, Kebo Iwa Great Harmony, Dewi Kwam Im Great Pagoda, Agung Dalem Lingsir Hall, Puncak Penataran Agung Pingit, Ida Betara Dalem Lingsir Waturenggong and the last is Sang Hyang Ganesha and Mrs. Dewi Parwati. The Great Pagoda Building Dewi Kwam Im is the most unique place of worship. This Tri Dharma place of worship has a Buddhist architecture consisting of three undag and is similar to a pagoda. The pink color dominates this sacred building, another uniqueness is that it is not permissible to offer meat in this holy place. In the days of the kingdoms in history here there were Hindus and Buddhists. On the journey, it is not uncommon for both to go together and acculturation like this is born. Just as in Hinduism there is a Buddhist Shiva pedanda. Ex-Buleleng Port - There are still many tourist attractions in Buleleng Regency, but still not exposed and managed as much as possible. But we should be proud of what we have, moreover I am from Buleleng. The old city in North Bali is a city that had become the capital of the Province of Bali and its center of shipping because it has the largest pier in Bali called the Port of Buleleng. Buleleng Port is located about 2.5 kilometers from Singaraja City and is about 160 kilometers from Kuta. Before arriving at Buleleng Harbor if you depart from Kuta, you will find Taman Ayun, Eka Karya Botanical Garden, Ulun Danu Beratan Temple, and Lake Tamblingan and Lake Buyan. For some reason, the capital of the Province of Bali was moved to the city of Denpasar, this made the glory of Buleleng Harbor slowly disappear. This port used to be a haven for cruise ships, loading, and unloading of goods, the initial gateway to Bali, but now history. Old buildings that remain empty will only become memories. The Port of Buleleng witnessed the history of the battle of the Buleleng people with the Dutch army. To commemorate the courage of the people of Buleleng, in 1987 the government built the Yudha Mandala Tama Monument. A monument with a statue of a young man pointed to the north while holding a pointed bamboo which was tied to a red and white flag. Around 2005 the government began to pay attention to this port, old buildings began to be painted and added gardens and floating dining places in lieu of the pier. tourists usually visit this place during the afternoon while watching the beautiful sun. Some just sit back, some take pictures just to capture their moments, there are also those who eat food in the restaurant accompanied by the beautiful sunset. Because this port was still active, through this port the entry of our Chinese brothers to settle in Buleleng. With the entry of Chinese people into Singaraja, cultural acculturation took place which we can see from the temple ornaments which have little Chinese ornaments and Singaraja's special food which is the result of acculturation of the two cultures is siobak. Near the east entrance, there was a temple with an oriental-style architecture known as Ling Gwan Kiong. Until now, this temple is still often used for prayer and the place for wedding ceremonies for Buddhists. You will be allowed to enter this temple even though this temple is a place of worship for the Tri Dharma people and the temple guards will guide you happily. With the red color striking in the area surrounding the former Port of Buleleng, Ling Gwan Kiong Temple is located in front of the former port of Buleleng. 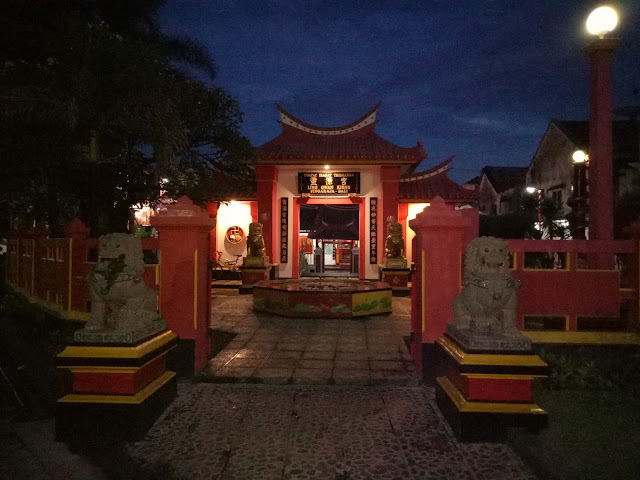 Ling Gwan Kiong Temple is a place of worship for the people of Tri Dharma is one of the old temples in Buleleng district according to the info established around 1873 AD. Around the former Buleleng port, there are also some religious buildings such as temples, temples, and mosques, this unique thing is a reflection of inter-religious harmony. Lovina Beach - Bali does have a very interesting tourist attraction, ranging from beaches, waterfalls, temples, culture and traditions, art and much more. No wonder Bali is the world's best tourist destination. The beauty of Bali is not focused on the southern hemisphere, the northern hemisphere still presents a lot of charm and uniqueness that you must know. North Bali or Buleleng Regency actually has great tourism potential, because the distance is quite far from the airport, making tourists from outside Bali are sometimes reluctant to visit may be constrained by a short vacation time. 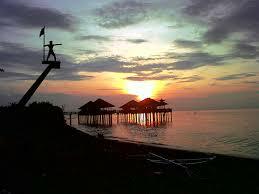 Sometimes a tourist attraction that is often said to be an icon of Buleleng Regency is Lovina Beach. In Buleleng Regency itself, tourism places that tend to be crowded from foreign tourists visiting Lovina Beach are also. Lovina Beach is one of the beaches in Kalibukbuk Village, Buleleng Regency, Bali. Lovina Beach's popularity has existed since a long time ago. The uniqueness of Lovina Beach is that dolphins often appear and swim jumping in the middle of the ocean. 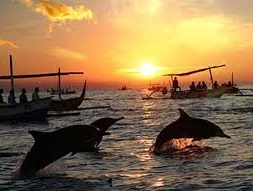 The best time to see dolphins on Lovina beach is in the morning. Have you ever experienced a boat ride in a calm ocean? if ever, surely it will be very fun, isn't it? moreover, you will be treated to dolphins jumping and chasing each other beside you. For the tranquility of the beach, not inferior to Sanur Beach, the shade of trees on the beach is also almost similar to Sanur Beach, but for tourism supporting facilities that are still lacking such as watersport activities and others. Speaking of the sunset, Lovina is also not inferior to Kuta Beach but for surfing activities, it cannot be done in Lovina, because the waves do not support it. To watch the sunset at Lovina Beach, you have to come at 5-6 in the afternoon, because that time is the right time to watch the beautiful sunset in Lovina. Lovina Beach Biota is still good and diverse so it is good to use for diving activities, not to lose with other diving spots in Bali. 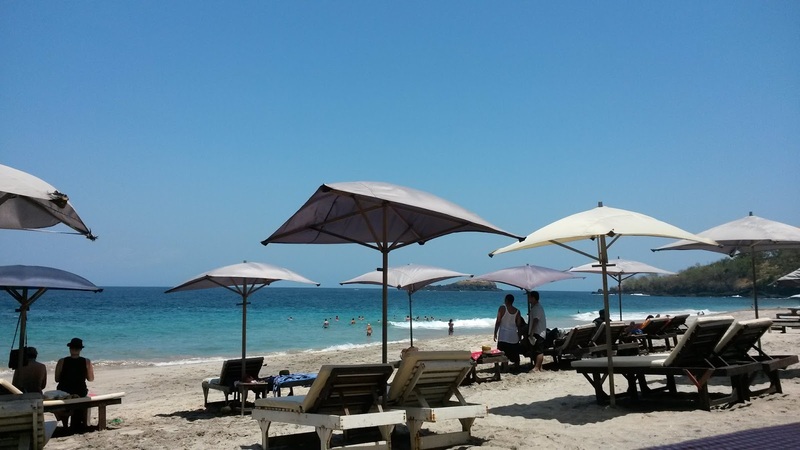 Many foreign tourists and domestic tourists visit Lovina Beach. Some just eat at a nearby restaurant, some just sit watching the calm of Lovina Beach waves, some take pictures while waiting for the right time to see dolphins. Sand on Lovina Beach is the sand of most beaches in Buleleng, namely black sand. the texture is not so rough and still comfortable to occupy. Intrigued to see dolphins directly on Lovina Beach? immediately visit this tourist attraction when you are on vacation in Bali. Graveyard as well as Pura Jayaprana located in the Accepted Teluk Forest, Sumber Klampok Village, Gerokgak, Buleleng. This tomb is 67 kilometers from Singaraja. 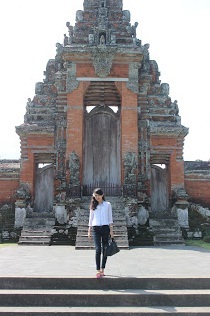 It takes approximately 4 hours to reach this tomb from Denpasar City. Bamboo Curtain Country is famous for the Sampik Ing Tai story, the Western World is famous for Romeo and its Juliet, Buleleng is also not inferior to the story of Jaya Prana and Layon Sari. This temple was built with the aim of remembering and perpetuating their true love story. The love story of Jayaprana and his wife, Layon Sari, because it is very famous in Bali until his grave is now a tourist spot. The story of an orphan who came from Kalianget Village, Buleleng died as a result of love with a woman whom the king liked too. When the outbreak struck Kalianget Village, only Jayaprana was the only person who survived the attack of an infectious disease that attacked his family. Because the King was merciful to Jayaprana, the King invited him to the palace. Little Jayaprana then decided to devote himself to the King and lived in the court of the Kingdom of Wanakeling. Jayaprana was very dear to the king, as he grew up he became a handsome young man with clean white skin, increasing Jayaprana's authority. Because he had grown up, the king ordered Jayaprana to travel around his kingdom to see a girl who could be his mooring. Jayaprana also found a girl who so captivated her heart, the girl named Layon Sari and Jayaprana also managed to marry Layon Sari who was famous for her beauty. But it is very unfortunate, the King was also attracted to Jayaprana's wife. The king seeks a way to get rid of Jayaprana so that the King can have Layon Sari. The King also sent Jayaprana to western Bali to fight pirates, but when he arrived at Teluk Accept, Jayaprana was killed by Patih Sunggaling on the orders of the King. Although that was the king's reason for being able to get rid of Jayaprana (sent to West Bali) so that the King could have a reason for Layon Sari that Jayaprana died in the battlefield. Because Layon Sari's love for Jayaprana is so great, Layon Sari decides to commit suicide in order to catch up with her beloved husband so that the King fails to have Layon Sari. True love is brought to death, that's the love story of Jayaprana and Layon Sari. Love brings joy and sorrow. What a great love for both of them, until they are willing to die to be together in the realm of eternity. Nothing can replace his beloved partner, alive, once in a lifetime. Jayaprana's body and Layon Sari were buried and built a temple to commemorate their true love story. Access to the road to this tomb is good. The location is at an altitude so from this place you can see Menjangan Island and Lovina Beach from a distance. Virgin Beach - The charm of the beauty of Bali has been known throughout the world. Who does not know the island of Bali with its natural beauty like heaven? Its beaches are undoubtedly beautiful. Not only Tanah Lot, Sanur Beach and Kuta Beach, but Bali also has many beaches with its uniqueness and beauty. Beach tourism objects on the island of Bali are not only the beaches mentioned above, but there are still many beaches that you don't know yet with the beauty that is not inferior to the two beaches. If you want a beach that is quiet, visitors like the private beach but have beautiful objects. 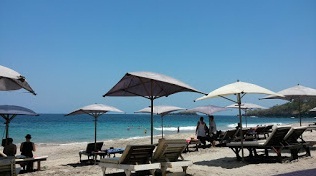 If so, the answer is Virgin Beach Perasi Karangasem. Beaches in Bali are not only white sand, but there are also those that have black sand but black sand beaches are less attractive to foreign tourists because during the day the weather will get hotter. This beach is a beach that is located near Candidasa attractions. This beach is also called Perasi Beach by locals because the condition is clean, calm and beautiful so foreign tourists call this beach as Virgin Beach. Uniquely this beach is another beach near this black sand beach, only this beach is white sand. For tourists who first visit this beach, it is likely to be difficult to find the location of this Virgin beach. Therefore, it is recommended that you use the services of a guide or invite people who have visited this beach. The goal is that you don't get lost and waste time just to find this location. If you want to visit this beach and you want to ask the location with the locals, you should ask where is the beach location, because the local people only know Perasi Beach, and the nickname Virgin Beach is only named by foreign tourists who have been there and feel the calm, cleanliness and the beauty of the beach. 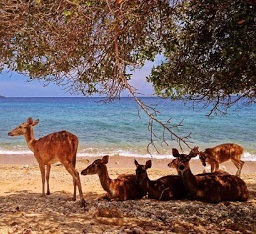 Currently, only a few domestic and foreign tourists visit Virgin Beach because the location is quite far and not easy to reach this location because of its hidden location. If you depart from Kuta Beach, you will need about 2 hours, and if you depart from Candidasa, you will need 20 minutes. 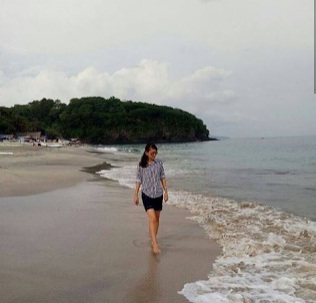 But if you want to vacation to a quiet beach and want to find peace, not crowded, clean and a little pollution, then Virgin Beach that you must visit during a holiday in Bali, although the distance is a bit far. Perasi Beach Bali can be categorized as one of the best beaches in Bali and its name is often included in foreign travel guides. Sand on Virgin Beach is not very white but is more yellow, and slightly mixed with black sand. No need to worry about food when vacationing on this beach, because there are already small shops and cafes here, selling food and drinks at affordable prices or not as expensive as the price of food on Kuta Beach. Traditional boats are a complementary sight on this Virgin Beach. If you are lucky when visiting this beach during sunny weather, you will be able to see the color of the blue and clear sea water, great for swimming or snorkeling. Stay careful when you swim with children, even though the beach conditions are calm. If you want to lie down and sunbathe while enjoying the beauty of the beach, there is also provided a sun deck but confirm first to the cafe owner there. Accommodation facilities are not yet fully available on this beach, not as complete as accommodation facilities at Candidasa attractions. If you visit the Virgin beach and come from southern Bali like Kuta Beach, it's a good idea to visit other attractions that are located near the Karangasem Virgin Beach. Sambangan Village - the village that is not inferior to its natural condition with Jatiluwih and Ubud Villages is Sambangan Village. Its location is in the northern part of Bali, precisely in the Sukasada district, Buleleng Regency. The location of Sambangan village is close to one of the tourist icons of Buleleng Regency which is famous for its dolphin attractions, namely Lovina Beach. From Lovina Beach to Sambangan Village, it will take around 20 minutes to use a motorized vehicle. If you depart from Ngurah Rai Airport, it will take around 3 hours to reach Sambangan Buleleng Village. Sambangan Village is at an altitude of 500 meters - 1,020 meters above sea level. Divided into two sides, the south side and the north side. The topographic northern region of the land is relatively flat, while the southern part of the topography is steeper and sloping. This sloping topography offers terraced rice fields and protected forests. For those of you who want to enjoy natural recreation, Sambangan Village is the answer because the nature is still beautiful. Many local tourists and foreign tourists have come just to enjoy the beauty of the scenery in the village of Sambangan. Sambangan village is also used as a trekking spot in Bali because Sambangan village has a natural and beautiful uphill and waterfall topography. 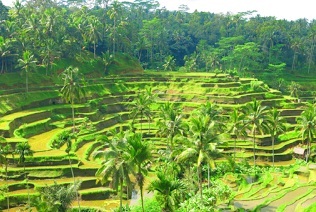 Similar to Jatiluwih Village, the irrigation system used by farmers in Sambangan Village is a traditional Balinese irrigation system called "Subak". The Subak organization has the task of dividing water for farmers to irrigate rice fields. The farmers will get water in a fair, rotating and even manner for their rice fields according to the obligations they pay to the Subak. It takes about 3 hours for Trekking in the village of Sambangan. Start trekking starting with "Secret Garden orientation". Orientation at Secret Garden will take around 30 minutes. A scenery of rice fields, coffee gardens, cocoa gardens, salak, palm trees, jackfruit, bananas, and other plants will be enjoyed throughout the trekking journey. Because the trip is quite far, you will be instructed to rest at Tibuan Puncak Sari, there is a natural swimming pool. Trekking continues and you will see the Aling-aling Waterfall. After approximately 1 hour drive you will see Kroya waterfall, twin waterfalls with a height of 10 meters, and the Pucuk Waterfall which is about 15 meters high. Sambangan Village, Buleleng Regency, Bali, has been developed into a spiritual nuanced tourism area because Sambangan Village has a calm and beautiful natural scenery and has been designated by the local government as a popular tourist area in North Bali. With the natural condition of Sambangan Village which is in a beautiful, beautiful and cool mountain area, it is very supportive for spiritual activities such as meditation and yoga. To support this, the government has built several houses, villas and other facilities to support spiritual tourism. When you are in Sambangan Village, you can see the north Bali sea from a height while enjoying the beautiful expanse of rice fields and rows of other hills. Sleeping Buddha Statue - Who says there are only beaches and temples in Bali if you are looking for other tourism alternatives, in Tabanan regency precisely located on Jalan Pupuan there is a monastery called Vihara Darma Giri which contains a large white sleeping Buddha statue. This sleeping Buddha statue is only the only one in Bali and has long been built, at first this Dharma Giri Monastery was not a tourist attraction, but after the Buddha's statue was built, many curious tourists visited this place. When you visit the Dharma Giri Monastery, you must maintain calm, and maintain good manners. It is recommended not to wear shorts when visiting this place. For those of you who are already in shorts, don't worry because you have provided kamen or sarong in this place. Because this monastery is in a high place makes the surrounding air very cool. The surrounding landscape and the sleeping Buddha Statue can be used as a backdrop for tourists when taking pictures. This monastery is a place of worship for Tri Dharma people so you can enter this place for free even you will be guided by the Vihara guards so as not to violate the Vihara rules. The location of this monastery is on Jalan Raya Papuan, Tabanan 33 kilometers from Ngurah Rai Airport if taken via Mahendradatta Road. It takes about 1 hour 15 minutes, 28 kilometers from Kuta if taken through Mahendradartta Road. It takes about 1 hour 6 minutes, 22 Kilometers from Denpasar if taken via Jalan Raya Denpasar Gilimanuk. It takes around 49 minutes, 19 Kilometers from Tabanan City if taken via Jalan Raya Denpasar Gilimanuk takes about 38 minutes.